Over the centuries, the negotiation of international agreements, in particular trade agreements, has traditionally remained highly confidential and sheltered from public attention. Up until today, parties to these agreements typically invoke confidentiality so as to preserve tactical decisions and build mutual trust. Yet the negotiations of a ‘new generation’ of trade agreements, such the Comprehensive Economic Trade Agreement (CETA), the Transatlantic Trade and Investment Partnership (TTIP), or the Trade in Services Agreement (TiSA), have prompted civil society to increasingly question their ‘behind-the-door’ nature. Given the wider scope of policy areas covered by these trade agreements and their rather intrusive approach to domestic regulatory autonomy, the interests at stake are not only broader than in previous trade agreements but also of constitutional significance, affecting private companies, civil society organisations, individual citizens as well as third party States. As a result, the democratic accountability of their negotiations as well as outcomes are increasingly questioned today. The rationale pursued by the claim for greater transparency is to guarantee an equal access and representation of the many interests affected by the proposed agreements. When compared with previous, traditional trade negotiations, considerable efforts have been made, notably in the framework of TTIP, by the EU (not by the United States) to improve communication about those negotiations and consultation with different interested stakeholders. This rather sudden policy change is driven not only by the increased salience of TTIP negotiations with public opinion, but also by the European Parliament’s deadly vote in the Anti-counterfeiting Trade Agreement (ACTA). Since then, the EU Commission has pioneered a comprehensive disclosure strategy, accompanied by efforts to provide understanding for the general public about the proposed content of trade agreements. In doing so, the EU has compellingly shown to its trading partners that there exists a conspicuous space in the negotiation of a trade agreement that could be disclosed without automatically putting at stake the untouchable ‘space to think and trade’ inherent to any trade negotiation. The new EU policy of transparency in trade agreements proves that not only a heightened level of openness can be offered without compromising the negotiation process, but also that this is imperative in the framework of the new generation trade agreements. In other words, publicity as a mean to gain legitimacy vis-à-vis public opinion should be prioritized over confidentiality being used as a trust-builder among negotiators. Yet, the new transparency policy pioneered by the EU is also producing some unintended consequences. By systematically disclosing its position papers (and, sometimes, its textual proposals) before each negotiation, the new EU policy led to a permanent yet largely overlooked information asymmetry between the EU and its trading partner. As it may be inferred from the TTIP Tactical State of Play document leaked by Greenpeace, the existing information imbalance is altering the overall negotiating environment by shaping not only the way trade negotiators interact and draft their texts, but also how the media, academic research, and, in turn, public opinion perceive it. While this might theoretically provide the EU with a comparative advantage over its trading partner, due to the ensuing enhanced responsiveness to its stakeholders, this is not occurring. The more the EU is opening up its negotiation to the public, the less public opinion appears pleased about the EU Commission’s democratic accountability when acting as an international negotiator for the whole EU. In the aftermath of the TTIP leaks, calls by EU leaders to re-examine the mandate granted to the EU Commission to negotiate the agreement are bourgeoning. Likewise the requests by national parliaments to submit TTIP approval to a vote (regardless of its mixed nature) are also multiplying. But there is more. The patent transatlantic asymmetry surrounding the negotiations is generating many other information asymmetries within the EU itself: that between the negotiators and the elected (which has been partly addressed by reading rooms), that between corporate and civil society interest groups (which has been partly been addressed by the establishment of TTIP advisory group) and eventually between the ‘TTIP circus’ and the general public. However, there is also a significant academic imbalance surrounding the TTIP negotiations. If the negotiators themselves have hijacked (and quickly exhausted) the rhetoric of fact-checking, academics have not yet had their chance to contribute to the discussion. Limited access to the negotiating texts has initially produced some ‘chilling effect’ on academic writing on both sides of the Atlantic. Then, due to the sudden change in the EU policy disclosure, the availability of EU-only position papers has fuelled a growing literature focusing exclusively on the EU position in the negotiations as opposed to the (unknown) stance of the US. As a result, only the EU positions have been studied, criticized and closely debated, with the US negotiating positions remaining largely a mystery. How to expect the on-going negotiations to bear fruit when the conditions under which those negotiations took place are so endogenously and exogenously imbalanced? At a time in which the transatlantic information asymmetry emerges as one of the major obstacles to the on-going negotiations, a move from the US appears needed. Continued secrecy outside of a strictly defined ‘space to think’ creates room for the politicisation of leaks, which as exemplified by the TTIP leaks ultimately undermines – as opposed to strengthening – trust in the process itself. Yet, despite this evidence, confidentiality continues to trump transparency in the on-going TTIP negotiations. Unless the EU and the US, two like-minded countries and powerful traders, will be able to lay down a joint transparency policy the fate of the TTIP negotiations is already written. 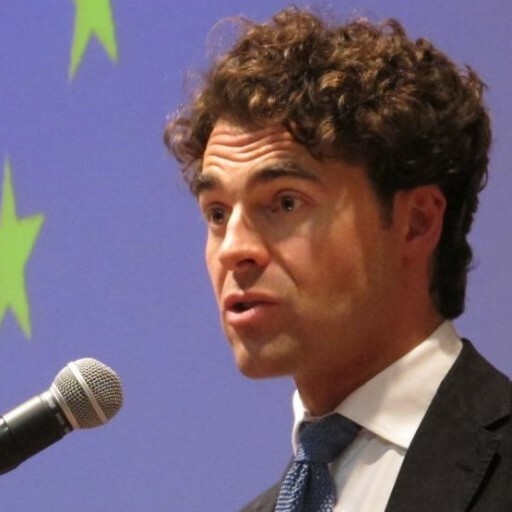 SUGGESTED CITATION Alemanno, Alberto: Time to Overcome TTIP’s Many Informational Asymmetries, VerfBlog, 2016/6/22, https://verfassungsblog.de/time-to-overcome-ttips-many-informational-asymmetries/, DOI: http://dx.doi.org/10.17176/20160622-161330.